Firstly let me say, Ashley Cole is not going to be considered because my twenty year plan to make Cheryl Cole/Tweedy my wife will be ruined if she reads this article about what a wonderful left back he is/was. 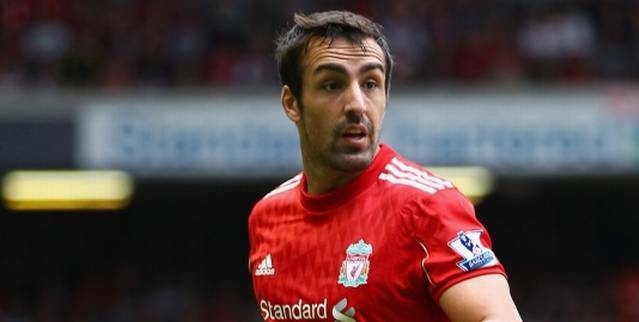 Jose Enrique appears to be one of the bargains of the season so far at £6 million, with the Spaniard being key in Liverpool only conceding 18 Premier League goals this season, which is only bettered by Manchester City (16). The former Newcastle United player has defended with maturity and attacked with force, encompassing everything the modern day full back is about, however Enrique is yet to make his international debut which is surprising given his form and Spain’s supposed shortage at left back. Leighton Baines, arguably the most consistent left back over the last two years or so which has started to earn the defender recognition at international level. The former Wigan Athletic man has an attribute that hasn’t been seen in a left back since Roberto Carlos and that is his ability from dead ball situations, which has proved invaluable to Everton with the likes of Louis Saha making Emile Heskey look prolific. Neil Taylor has been one of several positives from the Premier League new boys Swansea this year, the Welsh outfit have been a great addition to the world’s best league. The Wales international has it all, the pace, the calmness when under pressure and the attacking tendencies; admittedly at 22 the former Wrexham defender isn’t the complete package but given a season or two at the top level and rumours such as the ones linking him with Arsenal will, no doubt be a common occurrence. Admittedly I started this article thinking there were going to be five or six decent left backs but clearly I’m mistaken. 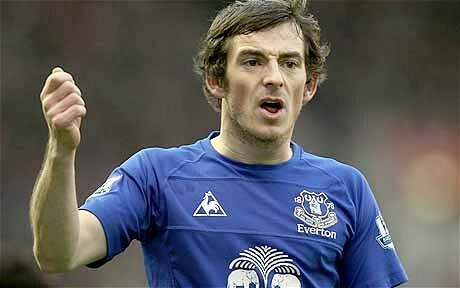 Overall, you can’t overlook consistency and Baines has been a solid performer for two seasons now. Although the Englishman may not have the Spanish flair or the ability to reach the levels Neil Taylor can, at the moment you can’t look past the Everton man. It is that horrible time of year again, when us football fans try to find something to entertain ourselves with for a couple of months while the players have a ‘well deserved’ rest. The transfer window has now kindly reopened in order to give the fans something to talk about down the pub and no doubt there will be ridiculous rumours, surprising signings and barbaric amounts of money spent. However in amongst the forever changing stories, there will be a few things that will no doubt remain, but what are they? So where will the former Inter Milan striker be living the dream after this transfer window? The Spurs man has a bit of a reputation as a successful ‘wheeler-dealer’ in the transfer market, but also has a reputation that he can’t refuse a ‘bargain’. It is such opinions on ‘Arry that will no doubt, like every transfer window that has gone before, see the Englishman linked with every player including a surprising double swoop for Dion Dublin and Dean Windass. “We have to strengthen the squad where it needs and make the right decision on that front. It is always on my mind, every day. Don’t think it’s not on my mind.” This was Wenger talking on the 26th April of this year, sound familiar? It should do because for the last couple of years the Frenchman has been saying this and as of yet the Arsenal fans have seen several Sebastien Squillaci’s come and go for minimal transfer fees, hardly a signing that will allow a team to win a Quadruple. The rumours have already started surrounding the Three Lions talent, Gary Cahill valued at £15-20 million, Ashley Young £20 million and no doubt the same sort of prices for Jordan Henderson, Stewart Downing and Phil Jones. Are these prices really representative of what these players have achieved or can offer a side? Especially when you consider Connor Wickham of Ipswich is valued at £15 million just because ‘he may become a star in the future’, it is ridiculous but with the likes of Manchester City and Chelsea willing to spend, no doubt these players will move for inflated rates. With each transfer window that passes the ‘Fabregas to Barcelona transfer’ becomes more and more like an Eastenders storyline. Tiresome to say the least, but this episode will no doubt carry on this summer but will it finally end or will it end with ‘continued next time’? The promoted teams always look to sign much needed experience, usually players who have plied their trade in the Premier League for years and are now looking for a couple of ‘easier’ years. This transfer window could see Joe Cole move to QPR epitomising such a deal. It is dubbed the silly season so you can’t blame the newspapers linking Barcelona’s ‘holy trinity’ with a move to Portman Road. It is just annoying because us naïve and excited fans believe the stories and already plan what our team’s shirt will look like with ‘Messi’ on the back. Roberto Mancini has come out this week and said he feels he will need to make five big name signings…FIVE! Absolutely crazy claims when you consider the wealth of talent at Eastlands already, but no doubt it will happen, especially when you consider they paid over £20 million for Joleon Lescott. Despite all the media coverage there is always one deal that escapes the rumour mill and then BAM, at two minutes to deadline it is announced and the world of football is rocked. I remember it happening with Ashley Cole’s move to Arsenal and last year it was Rafael Van Der Vaart’s move to Spurs for a mere £8 million, I wonder who will surprise us this window? It is usually around the £20 million region, first Robbie Keane and then there was Alberto Aquilani…whose next? Paul Scholes has announced that he would be joining Gary Neville and Edwin Van Der Sar in retiring from football. The midfielder was renowned for his tenacious play, range of passing and amazing work rate, and despite calls from fellow professionals to stay on, after seventeen years in the Red Devils first team, the former England international has decided to call it a day. Speculation is always rife around Old Trafford but will no doubt increase tenfold, especially with every journalist having their own idea for possible replacements for Scholes. Naturally the cliché that Scholes boots are impossible to fill will be thrown around but who are the main candidates to give it a go? The Croatian has perhaps not received the plaudits he has deserved this season, with Gareth Bale and Rafael Van Der Vaart stealing the show, but the former Dinamo Zagreb has been the ‘heartbeat’ of Spurs’ play. Modric possesses several attributes of the retiring Scholes, strong on the ball, exquisite passing and has the ability to change a game. Where the midfielder prevents himself from being a ‘like for like’ signing is his goal scoring ability, yes Modric does score goals and yes, he can score from all angles and distances much like Scholes. However the Croatian doesn’t score regularly enough like the Englishman, over the years’ Scholes’ goals have been key in United’s success and there inability to replace these could prove costly in the 2011/12 Premier League season. Sir Alex Ferguson is a huge admirer of the Everton youngster, with speculation linking Rodwell with Old Trafford all season. The Toffee’s star isn’t like the retired Manchester United star with regards to Scholes’ attacking qualities, Rodwell is very much a defensive minded player. However the midfielder is a very strong tackler and very assured when on the ball, much like the man he could be replacing, was. At the age of twenty, there are question marks over whether the Everton man could replace Scholes instantly, but having already established himself as a regular in David Moyes’ starting line up, he has had valuable experience. The 2009 Italian footballer of the year has been monitored closely by Sir Alex since he made his debut in 2001 for Roma. De Rossi is regarded more as a defensive midfielder but can play the ‘box to box’ role that Scholes has done so assuredly for years. The Italian’s experience would be a huge positive for Fergie, having played in World Cup’s, in the Champions League and made over 200 competitve appearances for Roma. De Rossi could be another leader in the dressing room after losing such strong characters in Neville, Van Der Sar and Scholes. The Inter Milan midfielder has had an inspired couple of seasons, at club and international level, it is hard to believe he is still only twenty six years old. The former Ajax man is quick, tenacious on the ball and has impeccable passing accuracy and range, many of the talents Scholes has been praised for throughout his career. I would say the Dutch maestro’s weakness (for want of a better word), is that he isn’t the most defensive attacking midfielder (if there is such a thing). When Scholes played he would be the rearguard in front of the defence, breaking up the play and then two minutes later he would be unleashing a twenty yard screamer into the roof of the opponents net, Sneijder would have to attend to his defensive duties if he were to replace the Manchester United ‘legend’. The attacking midfielder was a key player in helping Borussia Dortmund win the Bundesliga title this season. Gotze has the technical skill and creativity to be a world class player, with German Football Association’s Matthias Sammer calling him “one of the best talents we’ve ever had.” At eighteen Gotze may be even too much of a gamble even for Fergie, who regularly places his faith in youth, but with Real Madrid reported to also be huge admirers of the German international, Fergie may make a move. Yet again the Premier League gave us footy fans a season with triumphs, heartbreak and entertainment. In amongst all the emotions and money, players became cult heroes, teams over achieved and managers came and went. Javier Hernandez was arguably the bargain of the season, but does this mean he will improve next season? Tottenham Hotspur missed out on Champions League qualification; will they regain a top four berth in the coming campaign? Already we all cannot wait for the next season to get up and running and we all have our predictions on who will achieve and who will fall through the Premier League’s trapdoor; here are mine. Luis Suarez for player of the season- Harry Redknapp reportedly turned down the chance to sign the former Ajax man in the recent transfer window, how he must be cursing that decision now. Suarez has injected energy, desire and flair into Liverpool, and has been a major influence on the Merseyside club’s climb up the table. The Uruguayan has turned in numerous Man of the Match performances, most notably in Liverpool’s 3-1 win over bitter rivals Manchester United, where he single-handedly terrorised the entire defence. It’s those sort of performances that make me think the Liverpool ace will collect Barclay’s Player of the Season for 2011/12. QPR in dreamland- Every season needs a ‘fairytale’ and for me I think it will be that QPR will be in the Champion League places at Christmas. I don’t for a second think they will stay there, but West Brom were up there this season and Ipswich in the past nearly achieved the unthinkable. QPR’s return to the top flight of English football may well be ‘the stuff dreams are made of’. Norwich will be relegated with five games still to play- This season’s relegation battle has gone right down to the wire, with the first confirmed relegation only happening on the penultimate fixture. It has been entertaining down the bottom of the league, with no team standing out as the ‘whipping boys’. However, for me, I think this will change, with Norwich City’s return to the top flight being short lived. Torres will be the highest scorer in the league- There is only so much criticism a man can take before he bites back, and next season, I believe the former Liverpool man will take up the mantle of Chelsea’s main man. Newcastle will sack Alan Pardew before Christmas- Mike Ashley doesn’t have the best track record when it comes to managers and Pardew, as of yet, hasn’t won over all the St James Park faithful. Newcastle will no doubt soon want to challenge for the European places again and I don’t think the former West Ham manager is the right guy to do it. Everton will be relegated- Admittedly, the Toffees have turned their season around in the second half but at the beginning of the season it was looking bleak for David Moyes’ side. With reported debts of up to £45 million, Everton will have to look to sell the likes of Jack Rodwell and Leighton Baines. Unless Moyes can pull off another signing that has the impact of Tim Cahill, for minimum expenditure, I fear for Everton’s Premier League survival. Owen Coyle will win manager of the season- I’m not quite sure what Coyle will achieve to warrant such an award, but this season I have been very impressed with the Bolton manager. The former Burnley man has transformed their style of play and Bolton even threatened to break into the Europa League places earlier in the season. Next season could really see Coyle take his management to the next level. Arsenal will win something- Surely they have got to? Manchester United will beat there 29 match unbeaten run- They play poorly, they get criticised and yet they still grind out results to win the Premier League title, and very convincingly in the end. Sir Alex Ferguson instils an incredible self belief into his side, and assuming the Premier League’s most successful manager is still around next season, then who knows what can be achieved. Tottenham Hotspur will finish as the League’s highest scorers- Funny old game is football, so with the constant criticism the Lilywhites strike force has received this season, with Crouch, Defoe and Pavlyuchenko failing to score 20 league goals between them, it is written in the script for Spurs to dominate the scoring charts next season. Sunderland will finish in the top eight- Steve Bruce’s side had a superb start to this current season, and although injuries are expected in the game, Sunderland had more than their fair share, with eleven first players being out injured at one point. A couple of signings to replace the returning loanees’ Danny Welbeck and Sulley Muntari and Sunderland will be in and around the top half come the final whistle of next season. Roy Hodgson will achieve some unimagineable feat- Hodgson has a knack for working miracles with the ‘lesser’ clubs, ignoring his disaster stint on Anfied, the Blackburn manager lead Fulham to a Europa League final last season and turned West Brom from relegation candidates to a comfortable mid table posititon. I’m not saying West Brom for the title but they will achieve something. Wigan Athletic will get relegated- The only reason Wigan stayed in the Premier League was Birmingham’s inability to score (37 goals in 38 games). Wigan’s final two fixture victories was their first back to back wins since Roberto Martinez took over in 2009, and that is not the sort of ‘achievement’ a side in the the a world’s ‘greatest’ league, should be achieving. Aston Villa will contain moving backwards if Houiller stays in charge- Despite being controversial, Martin O’Neill had the Villians dreaming of Champions League football. One season after his departure, Villa only secured their Premier League survival in the penultimate league fixture. Randy Lerner needs to hire a young visionary of a manager or Villa’s decline will continue. Blackburn Rovers will sack Steve Kean- The new owners Venky’s showed there policy on managers for the inexplicable sacking of Sam Allardyce in December. Steve Kean still gets the odd chant of “Who?” and it wont be long before he heads for the exit door after failing to build on Allardyce’s top ten finish last season. Karl Henry will recieve the most red cards- I love a commited, strong and passionate slide tackle as much as the next football fan, but a few times this season the tenacious Wolves centre midfielder has escaped punishment, but next next season he may not be so lucky. Fulham will be last in the fairplay table- There are a few suggestions that the Cottagers would miss out on Europa league via the fairplay league after Zoltan Gera’s sending off on the final day of the season, their first red of the season. Football loves irony, and although Fulham should be alright this season in securing their Europa cup spot, next season they will probably end up postoponing a game because Fulham had five men sent off. Manchester City will fail to finish in the top four- Yes this season looks impressive with an FA Cup final win and finishing third in the Premier League, but Manchester City have hardly looked a fluid unit this season, and if we are all honest the only reason they qualified automatically for the Champions League this season, was because of Arsenal and Tottenham’s massive dip in form, not due to their own skill and effort. Furthermore with Carlos Tevez reportedly readying his suitcase and Edin Dzeko looking about as useful as Emile Heskey, will they really push the ‘big boys’ again? Scott Sinclair will win a transfer to a ‘bigger’ club in January- If it wasn’t for Adel Taarabt’s performances the former Chelsea man would be getting more of the limelight. Sinclair has had a phenomenal season in front of goal and setting up goals, combined with his pace and flair, it won’t be long before the Premier League vultures straight circling around Liberty Stadium. Shane Long will score ten goals in the League by Christmas but finish the season with only 11- So many times we have seen players fail to live up to the Premier League standard despite impressing in the Championship. Reading’s Shane long could very well be the next Dave Nugent.